Mc Ewan Hall is the graduating hall of the University of Edinburgh, the capital of Scotland. It was presented to the University in 1897 by William McEwan, brewer and politician, at a cost of £115,000. Sir Robert Rowand Anderson was the architect. The exterior of the D-shaped wall was completed in 1894 and the interior was finished in 1897. It is built in renaissance style and features mural decorations from the hand of William Palin. The central piece of art is a large painted work known as “The Temple of Fame” depicting a great number of philosophers and students. 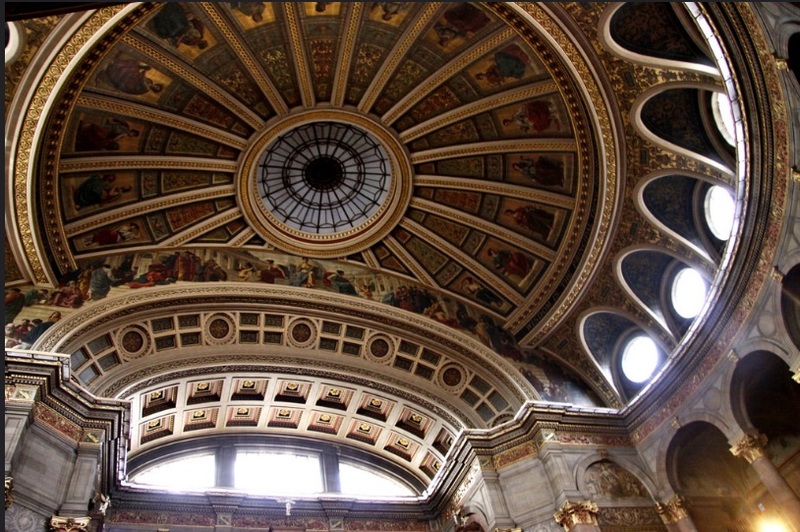 The dome of McEwan Hall is also seen as another striking feature of the building. 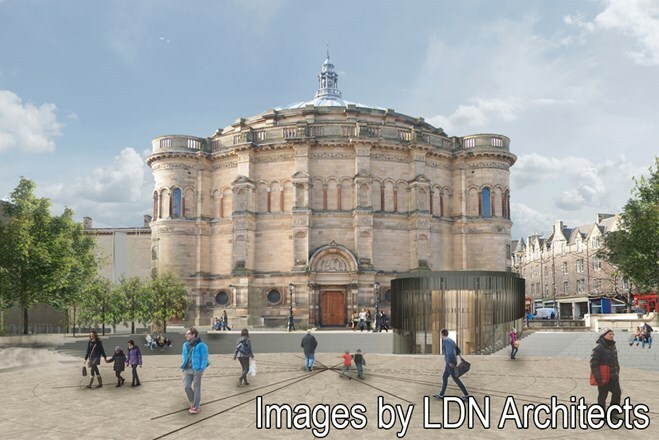 McEwan Hall at Edinburgh University is currently undergoing refurbishment to allow the restoration of the main hall to take place to create a multi functional space, new visitor and breakout facilities and the renovation of the existing basement area with landscaping of Bristo Square also taking place. Smartglass International Solar Control Glass will be retro fitted to the internal building walls to protect the beautiful painting and features for many more years to come. The glass will increase the functionality of the space by allowing instant control over the amount of light entering the hall. Smartglass International will create bespoke solar switchable panels that will be fitted inside each of the 13 circular oculi, each more that 2 metres in diameter. They will be installed more than 100ft from the ground by Specialist Window Systems with whom we are collaborating on this fascinating project. Located on Charles Street, Edinburgh, the project is estimated to be worth approximately £33m and began in June 2015. The project is scheduled to be completed in early 2017. The project is intended to address on-going operational issues that the building has experienced over the years. 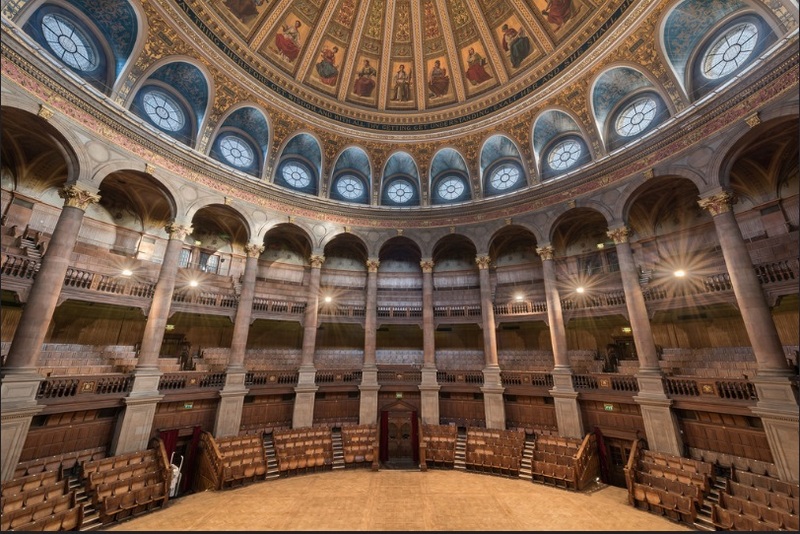 The University is investing in McEwan Hall to repair the building fabric, upgrade service installations and to resolve accessibility issues. The project will create additional public and support spaces to enable the building to deliver its core functions more effectively and to allow it to be used more frequently. To inquire about Solar Smartglass for your project please contact our team to discuss. This entry was posted in Projects, Smart Glass News. Bookmark the permalink.